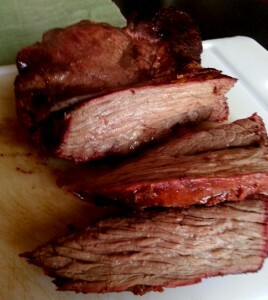 We wondered how to buy grass fed beef that was raised without chemicals and GMO feed. The more we looked around the more we decided to do it ourselves. We have been raising or own beef for three years and I will tell you the key things that we have found to get us great tasting, tender, lean, and nutritional meat. There are several words used in the natural meat market that folks use like grass fed, pastured, organic, and even all natural. These words sound nice but they don’t really tell you the quality of feed the beef animal is eating. We have learned that quality starts from the ground up. If you want the best beef you need the best dirt. Quality dirt makes quality grass, quality grass makes, healthy animals and healthy animals make healthy and happy people. Sounds simple yet there is so much that has to take place for that to happen. If we go back to the idea of let our animals do what they were designed to do we see a better way of getting the quality we want. A cow is a herbivore and herbivores eat plants. A cow is a four stomach herbivore that is perfectly designed to digest grass. When we strive to keep our cows on lush green grass every day we find that they thrive and don’t need much else. We give them good clean water and kelp to provide a total nutrition buffet. I know this isn’t the norm in the conventional beef industry but the proof is in the steaks. After all the conventional beef industry is more concerned about volume than quality. Most beef farmers would rather talk about how big their animals are or how many they have rather than how good they taste. When asking how to buy grass fed beef look for the best quality meat and ask what the animal was raised on if possible. I know this is difficult to do for many folks because the producer and consumer are so far removed from each other now. However there is help with that gap and you can check out our store page or where to buy grass fed beef here. The very best way to get quality is to buy from a local producer you can get to know and trust. Please leave a comment below and tell about your experience finding quality meat. I often get so disappointed when I spend good money on what I think is quality beef and end up with a tough and flavorless meal. I have never tried beef promoted as grass fed. I do usually look for prime and Black Angus beef and still sometimes end up disappointed. The beef I’ve purchased called free range often tastes too gamey for my liking. I will ask my local cattle farmers about the feed they use. I don’t like to freeze my meat because it never tastes as good as fresh. Thanks for the interesting read. I know what you mean Bethany. Before I discovered totally grass fed beef I didn’t care for beef unless it was ground beef. If you can find a farmer that is focused on quality meat and uses a total grass fed protocol it won’t taste gamey and it will even be good if you freeze it. Thanks Jason. I’ll look into this. Your welcome Bethany and if you can’t find a local supplier there are a few online companies that ship quality meats. 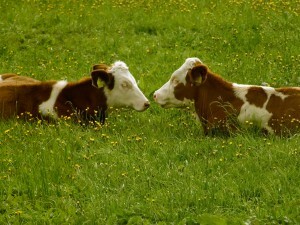 I found two that I really like and you can see more about them at our where to buy grass fed meat page. Kinda scares you into wondering all the things you’re getting when you bite into your favorite hamburger… Since my wife has been pregnant, we have been even more zealous in our goals to eat organic only or at least the majority of our food to be organic. It’s a lot of work, and costs more, but it’s our health for crying out loud. I’d rather pay the cost in food than in doctors bills. I like what you said about rather pay a bit more for good safe food than to pay it in doctors bills. This is so true and if we really look at the long term effects we would see that it is less expensive to buy higher quality food than it is to deal with the health issues of our industrialized food system. It made us think more about our health once we started having kids too. It is so important to give kids a good healthy start especially when we see so many chronic health problems in kids today. Good to hear from you and keep eating well!